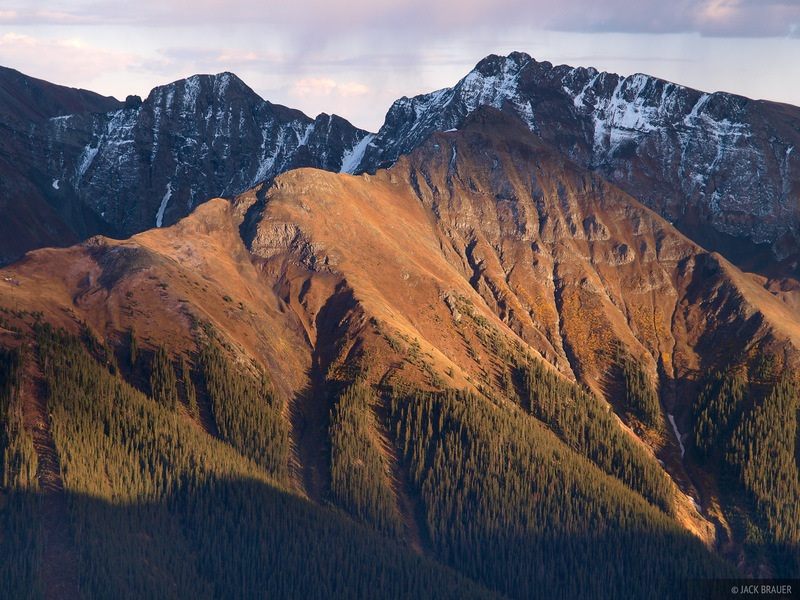 Evening light illuminates Silverton Mountain. On the far left side of the photo you can see the ski lift that cuts through the trees. Only a few more months until we'll be skiing and snowboarding down this mountain! Photo © copyright by Jack Brauer.